Four members of No. 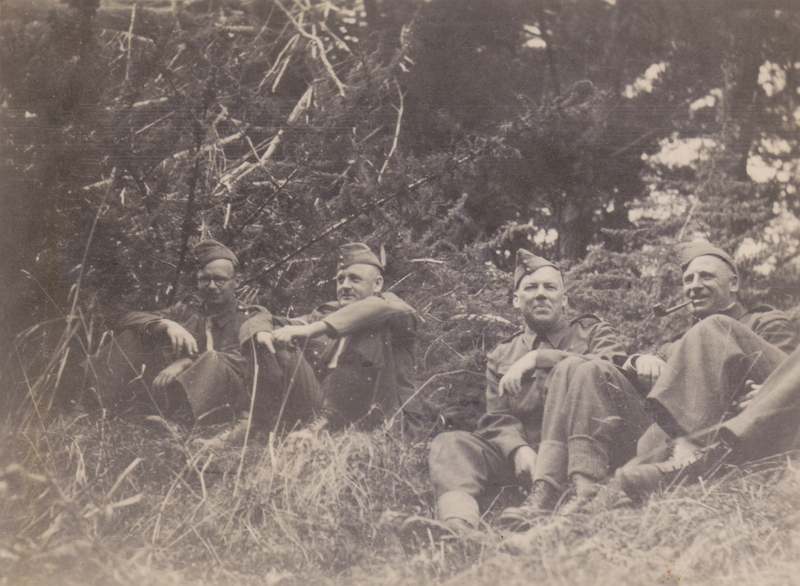 11 Platoon, Makara Battalion, New Zealand Home Guard, taking a break at Makara, 1942. From L to R they are Elice, Maris, Lieutenant Richards and smoking the pipe is Sergeant Milwood. Lemuel Lyes Collection.